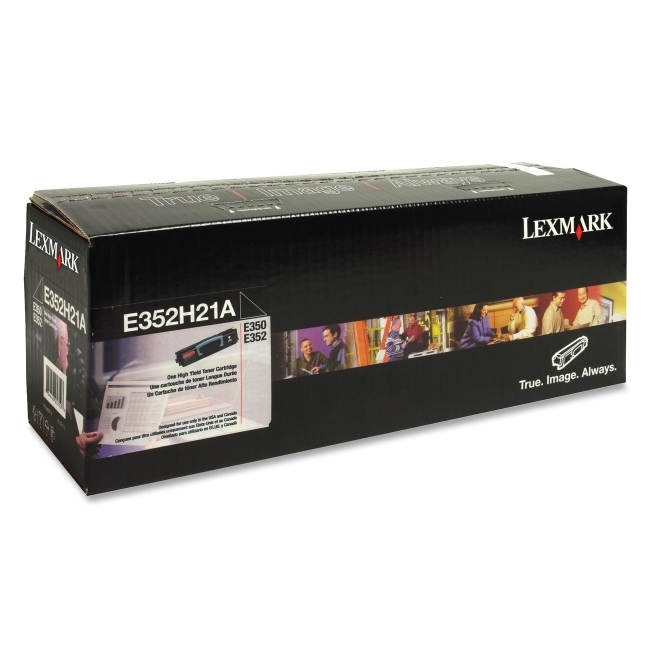 High-yield toner cartridge is designed for use with Lexmark E350 and E352. Yields 9,000 pages. Nonrefillable cartridge is licensed for single use only. Lexmark Return Program Cartridges are sold at a discount, versus the prices of regular cartridges, in exchange for the customer's agreement to use the cartridge only once and return it only to Lexmark for remanufacturing or recycling.